Press the power button until all 3 LEDs turn ON then release. If this is the first time WiCub is switched ON then it will enter Config Mode otherwise it will go to Install Mode. The Red LED will be flashing to indicate Config Mode. Proceed to select the WiCub network from your WiFi settings (just like you would if you were connecting to a hotspot). Enter your e-mail address and the location (eg. Garage Freezer). Here are some YouTube videos to help you get familiar with WiCub. This is how you turn WiCub On and Off. Update your alarm thresholds? Change your e-mail address? Changed your WiFi password? Enter Config Mode! Install mode allows you to place your WiCub in its intended location and verify that it is still in range of your WiFi network. You have 5 minutes! Go! WiCub LEDs doing this funky dance? Then WiCub cannot connect to your WiFi network. Go to Config Mode and try again! If all else fails, Factory Reset!! WiCub is in CONFIG MODE. WiCub is trying to connect to your WiFi network. WiCub could not connect to your WiFi network. WiCub is in INSTALL MODE. WiCub is Powering Up or Down. What batteries does WiCub use? WiCub uses 2 AAAA (quadruple A) batteries. Will I get a low battery alert? Every WiCub e-mail shows the current state of the battery. How often will I get a temperature/humidity alert? WiCub sends one temperature alert every day if the temperature is out of its set limit. 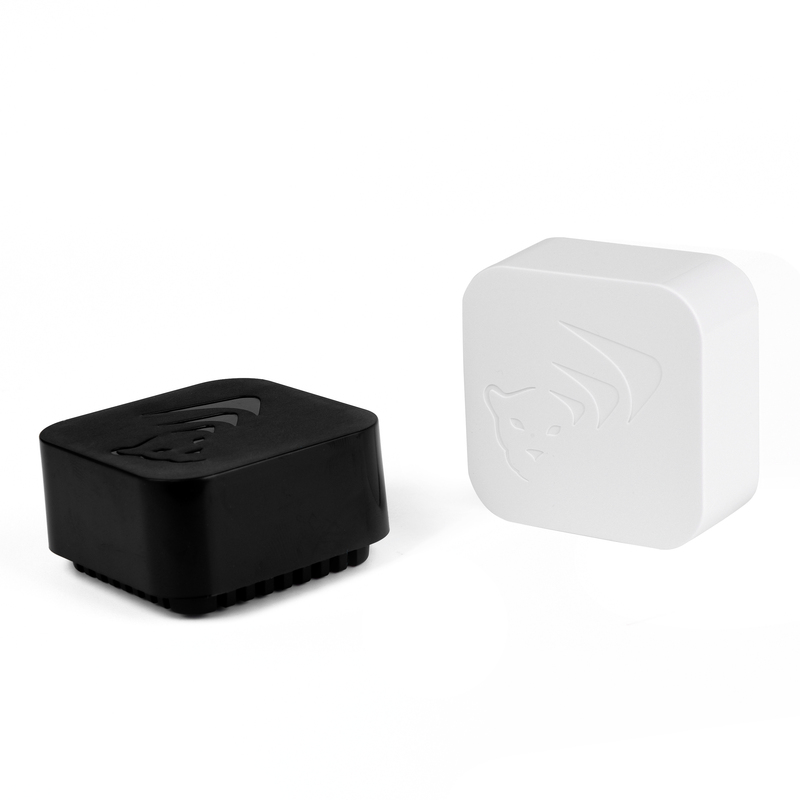 WiCub sends one humidity alert every day if the humidity is out of its set limit. In any 24 hour period you can receive a maximum of 2 alerts a day. How often is the temperature and humidity reading taken? What is the temperature/humidity measurement accuracy? What happens to the data if my WiFi network is switched off? WiCub stores the readings and will attempt to transmit the data every day. How many readings can WiCub store if it cannot connect to the WiFi network? How often does WiCub sync its internal time? Does WiCub handle Daylight Light Saving? Yes, this is done automatically; just set the correct country and region. What are the dimensions of WiCub? How do I update the alarm threshold settings? Hold the power button until the Orange LED turns OFF, then release it – WiCub will then go into Config Mode (Red LED flashing). For more information on how to setup your WiCub, please see the Quick Start Guide above. Can WiCub display Temperature in Fahrenheit? Yes it can 🙂 – Temperature Unit can be set in Config Mode. - UK Regions Timezone issue resolved.